We have been running our Welsh Birds of Prey workshop for a number of years now, so it is important to keep things fresh, especially for guests who have attended before. On this occasion, we took along a water pump & a wooden wheel to facilitate some special setups. The water pump has been used before but we got so many requests to bring it to the autumn workshop that we couldn’t refuse. The shot we were trying to achieve was one where you could just make out the water pump. This involved experimenting with where to position the pump to ensure that enough light fell on the Barn Owl and playing with exposure settings on the camera. The wooden wheel was also a much requested item following the spring workshop. Not wanting to repeat the shot from the earlier workshop, we placed the wheel in a barn to create a studio style image. Keeping the wheel in an upright position in order to pose the Little Owl proved to be a bit tricky. Thank goodness we brought along a black and decker! For this year’s spring birds of prey workshop, we will be bringing a pair of hurricane lamps and a different wheel so why not join us on what will be a fun, relaxed workshop. There will be plenty of opportunities to try for some creative portraits of our charismatic birds as well as learning about composition & exposure. If we’re lucky, we may even get some flight shots with the Great Grey Owl! 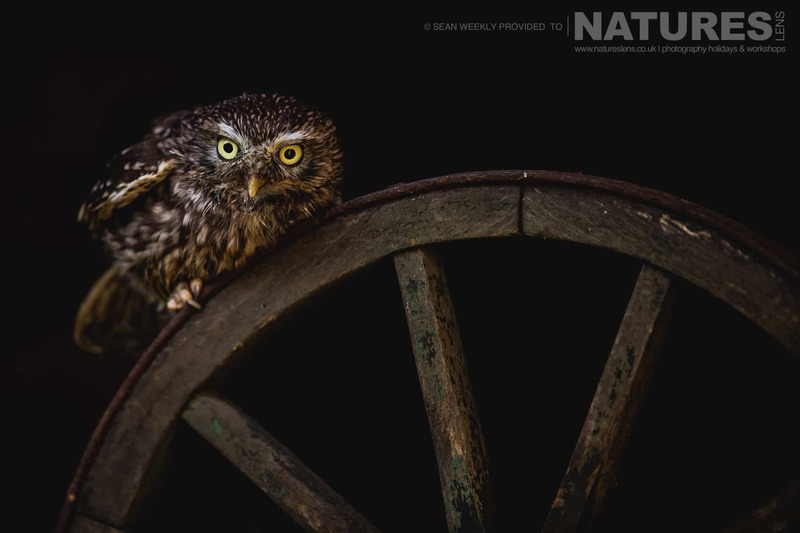 To photograph these birds & many others for yourself, join Sean Weekly, one of the members of the NaturesLens guiding team, in Wales, during May 2018 for a workshop spread over a weekend. This photography workshop will offer you the opportunity to capture images of the various birds of prey that our falconer has available. 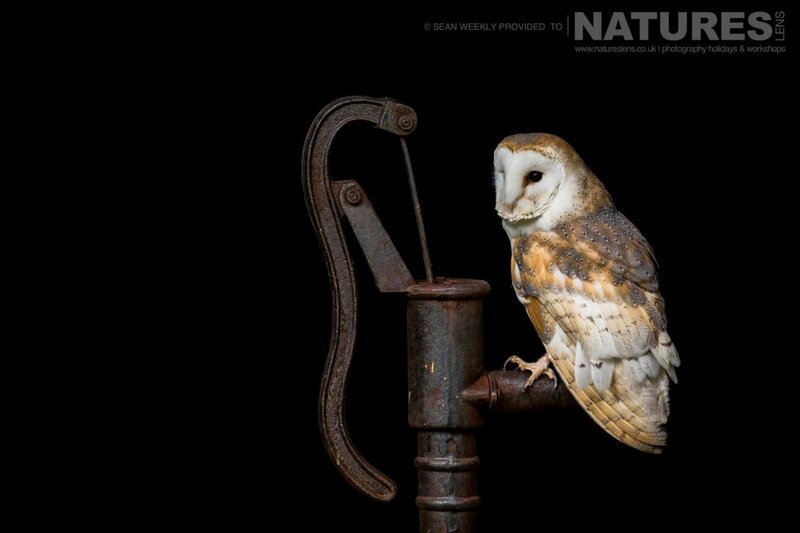 The NaturesLens Spring Birds of Prey Workshop costs £225 per participant. All the details of the Spring Birds of Prey Workshop are available on the dedicated event page. This entry was posted in announcements, client images, galleries, wales, workshops and tagged barn owl, bird of prey, buzzard, little owl, mid-wales, owl. Whatever your query regarding our photography holiday, Sean’s images from the special set-piece setups that were available at our Autumn Birds of Prey Workshop, please fill out your details below & we will get back to you.